The first task involved in playing acoustic guitar is making the strings ring, with a rich and clear tone. The next thing is making them stop. This second aspect, which involves the need to control how long the notes ring by muting, is under appreciated most of the time. However, it is very important in any type of music. The style of muting also adds the needed space in between the notes, making rhythms and melodies pop. 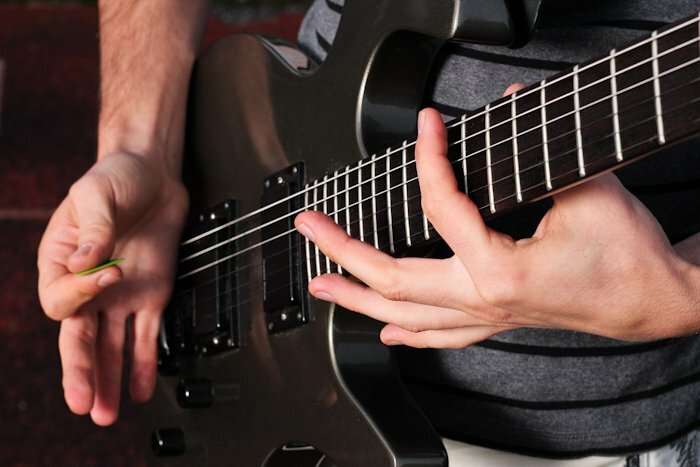 There are several techniques that you can use in order to silence your strings, with the use of both picking and fretting hands. This guide will lead you through the basics of silencing your strings for better guitar playing effects. These types of notes are the ones that are simplest to silence on a guitar. In order to cut a note, all you have to do is to stop pressing down using your fretting finger, leaving it just resting on the strong. Even though you may notice that there are no rests in between the notes, you can still pay attention towards the staccato marks, represented by the dots, which mean that you can play the notes shorter compared to what is indicated. 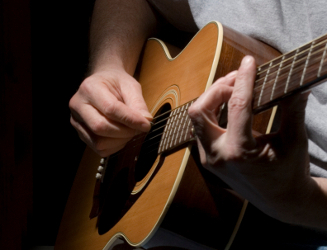 Choose a note, and then release your fretting finger quickly in order to stop ringing. Take note, however, that you do not completely lift your finger off the string, as it may start the ringing again. On the other hand, silencing open strings can be more challenging. You have to touch the ringing open string using one or more fingers. In order to do so, touch the string using the first finger of your fretting hand. It may be more difficult to play the open string notes in staccato as compared to playing fretted notes. However, you will definitely improve with this through practice. Make sure, however, to keep the fretting fingers just close to the strings if you are not using them. As such, you can put them quickly into service for silencing. This makes it a great all-around habit in playing in order to minimize the way your fingers move. Your fretting hand does not need to do all of the tasks involved in silencing. You may also silence by touching the strings using your picking hand’s fingers, or even through the side of the palm. In order to create a thumpier sound, you can rest lightly your palm on top of the strings, just near the bridge as you strike the bass strings. Doing so is easier if you are playing using a thumb pick or a flat pick as compared to using your bare fingers, because of the hand angle. You may also want to experiment on the placement of the palm. This means that the closer you are towards the sound hole, the sound can be deader. Resting your palm on the saddle top, you can mute the strings lightly. In order to work on those eight-note strings, which come with a rest in the middle, you have to mute using your fretting hand. 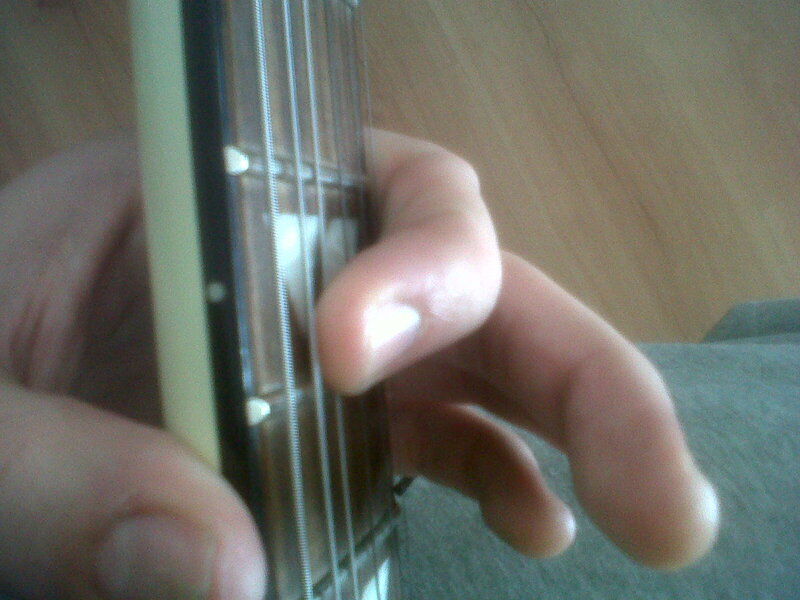 As shown in the previous examples, you can touch the open strings using any available fingers of your fretting hand. Even though you will not keep your palm on the strings in order to create a thumpy sound, you can easily use your palm in order to help in dampening in sound. When strumming reggae or clave rhythms, you can also work on gently landing your palm on the strings towards the end of the strumming motion, instead of just striking the strings, and moving away after. This type of palm silencing, together with fretting hand silencing, will surely add more thump to the created rhythm. In order to mute the chords or notes on your guitar, simply use your left or right hand in order to touch the strings, either partially, or entirely silencing the sound. You may also use muting as a technique to come up with a chunky, thick sound, as well as in preventing unwanted noises coming from strings not being played. In order to silence chords in creating percussive effects, all you have to do is to lay your hand (left) on all six strings in order to prevent them from ringing out while striking them. Make sure that you do not press them down towards the fretboard, as this may cause the sounding of the fretted notes. Instead, you can press them with the right amount of force, just enough for the strings not to vibrate. Afterwards, you can strike the strings using the pick in order to hear the silenced sound. Even though silencing using left hand can completely silence the strings, silencing using the right hand can deaden the sound partially, depending on the degree that you want. This will allow you to discern the pitches of the strings. In order to use right hand silencing, you can place your right hand’s heel against the bridge while playing. This may, at first, seem a bit awkward, but with some more practice, you can later on keep your hand on the bridge, still striking the strings using the pick. Since you are a beginner, you may be worried about getting your fingers on the right position than preventing some unnecessary string noises. However, as you work on your skill, it is very important to learn about preventing this from happening. For example, if you have your fingers rested on the 7th fret on the 3rd string using your 3rd finger, your finger slightly leans against the 2nd string. This prevents it from ringing. In picking the string using your right hand, the pick also goes to the 2nd string, thus preventing the string from ringing. Eventually, you will learn further on how to silence your strings. You may want to get some real examples from expert guitar players, and continue practicing until you learn the tricks that work for you.